Life is a delicate negotiation. 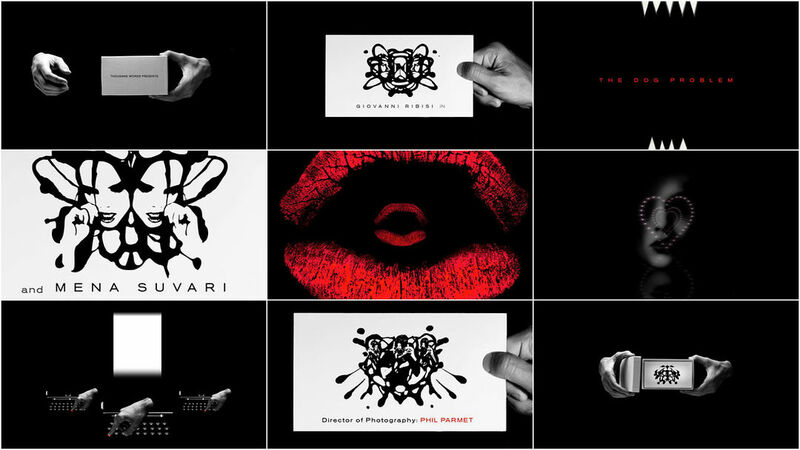 Howard Nourmand's design for the opening title sequence to Scott Caan's The Dog Problem features the inkblot intricacies of love. The tunneling lips and abstractions are propelled by the music of Mark Mothersbaugh (Devo). A discussion with Title Designer HOWARD NOURMAND at Grande Jeté. How have your life and your former creative experiences informed this work? HN: This project in particular was the result of something I went through early in my life–my struggles in elementary school. Back then sitting still in the classroom was torture. It wasn't that I was mischievous or that I didn't care about my grades. NOT AT ALL. I cared a lot, but for the life of me I couldn't stay focused on the curriculum and my mind would wander. My parents (who believed that a good education was priceless) put me through numerous developmental classes. Somewhere along the way I was sent to see an educational therapist. On our first or second session she pulled out a set of Rorschach cards. I remember being struck and mesmerized by them. "There is no right or wrong answer," I was told. It was a big departure from all the other examinations I had taken. In a way I was interfacing with abstract art for the first time. The crude and dated psychological tool always stayed with me. Twenty-three years later when I was racking my brain and trying to dream something up for The Dog Problem, it came to me while I was tossing and turning in my sleep. I had been looping in my head and putting a lot of pressure on myself to figure it out. It took a lot of questions to get there, and then, it hit me and woke me up. The response we received from this title sequence exceeded all my expectations. It landed my company (Grande Jeté) on Apple's homepage and opportunities sprung up from all over the place. We got a lot of exposure and people contacted us from all over the world. What is the most important thing you learned before this sequence? 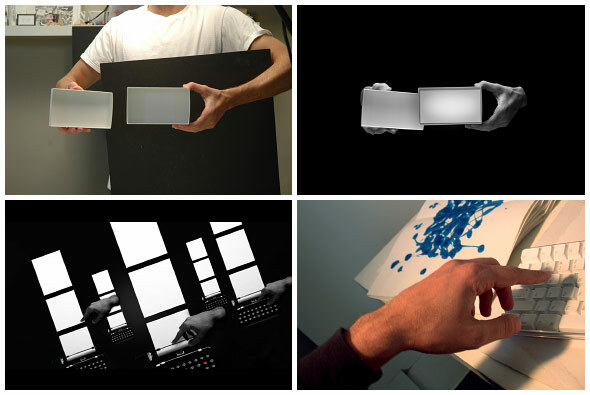 What's the most important thing you learned while creating this sequence? To visually stimulate and induce the viewers subconscious by using totally authentic psychiatric devices which take them on a psychological trip that explores the inner depth of the male psyche. Hard work always adds up to something (my old acting coach used to say that all the time). Do you have a favorite element from the piece? My favorite element is the first inkblot I got to work as a graphic. It's probably the most rudimentary of them all but something about it speaks to me. 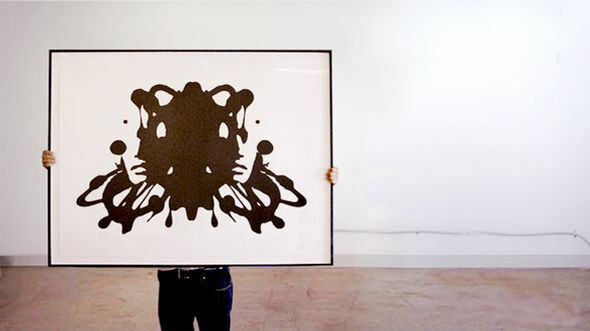 After the film was finished, I burned a screen and ran some limited edition silkscreen prints of that inkblot at Richard Duardo's studio...it then became part of a group show at Otero Passart Gallery. We have continued to sell them and a portion of the proceeds of all the inkblots sold goes to The Learning Disabilities Association of California. What was the process for working with the composer Mark Mothersbaugh (Devo)? In the beginning we used the Devo song because we didn't have anything else and we all liked it. But as we got further along in the animation process I realized if we had to change the song it would be a MAJOR setback in what was already a very challenging project. Scott Caan (director of The Dog Problem) kept saying, "Don't worry, we'll get it." And whenever I would express my concern he would yell, "W-E A-R-E-G-O-N-N-A-G-E-T-I-T DOOOODE!" He challenged me a lot on this project...BUT at the same time he forced me to play above my head (Saul Bass once said that about Otto Preminger). So one day Scott shows up toward the very end of a six-month stretch and says, "I got some bad and some good news: The bad is that we CANNOT use the Devo song...BUT the good is that I showed it to Mark and he is going to score something really similar to your titles." At first it was hard for me to tell if that was good news, but in the end it worked even better than I could have imagined because the new track felt more contemporary and fitting. To me it sounds like the version of "Gut Feeling" that would play in a psychedelic dream. Tony Robbins...you think that's a joke...seriously. Here are some others: Elia Kazan, Herb Lubalin, Charles & Ray Eames, Busby Berkeley, Saul Bass, Pablo Ferro, Daniel Bernoulli (1700-1782), Gustave Eiffel, Guy Bourdin, William Eggleston, David Hamilton, Dawn Tarnofsky Ostroff. I saw an installation (Mother + Father) at Sundance this year by Candice Breitz that was pretty fantastic. Todd Cole has always been one of my favorite artists. Darren Romanelli, who I would define as the modern day Nudie Cohn (Elvis Prestley's costume designer). There were many many people who had their hands on this other than me. But there is one person who was literally by my side for the entire duration of this creative journey. Her name is Eileen Bertumen. Simply put, I never could have pulled it off without her. 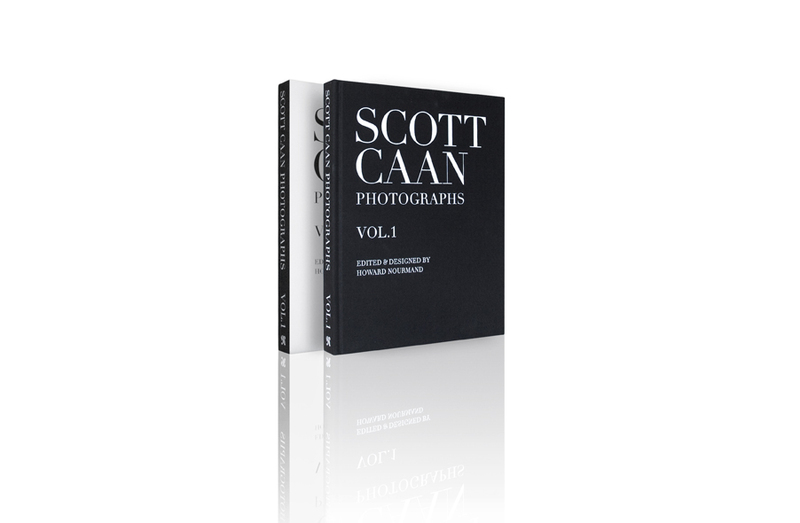 Also, look out for Scott Caan Photographs Vol.1. This art book was a collaboration between Scott Caan, Brett Ratner, and myself. It is being released this May 2009.